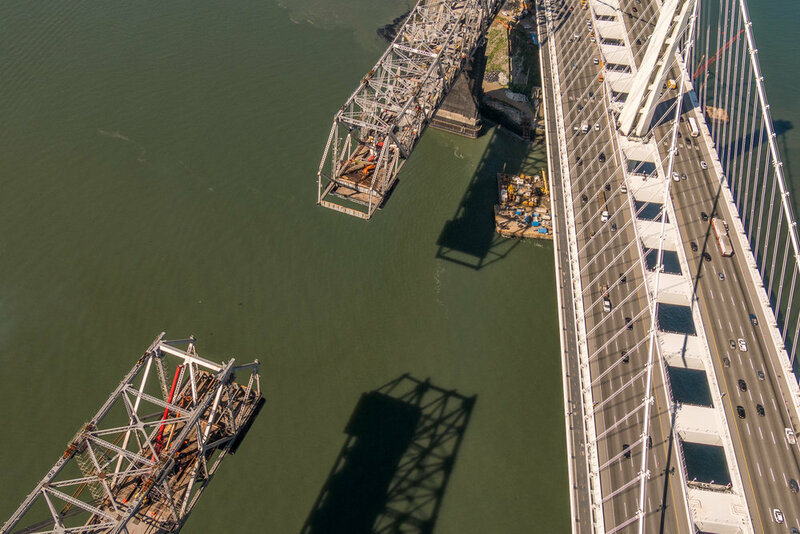 Large scale projects like that of the San Francisco-Oakland Bay Bridge demolition was best served by assembling a highly skilled team. Silverado teamed up with California Engineering Contractors, Inc. one of the most well respected and experienced bridge retrofit contractors in California. Combining our talented crews and experienced project staff had allowed our joint venture to excel at this highly complex and technical dismantlement. The joint venture was awarded two contracts, in excess of $200 Million, that encompassed the removal of the entire bridge super structure. The first contract was the removal of the Cantilever Section which required massive amounts of engineering to ensure safe dismantling while maintaining the integrity of the bridge throughout the sequence. 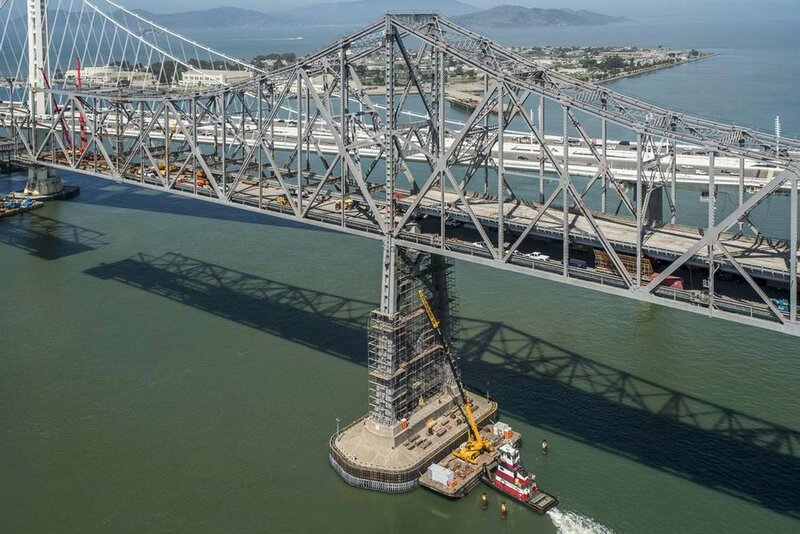 Prior to dismantlement the bridge was first retrofitted and then jacked to enable the bridge to cantilever out more than 700 feet from each end, this was a continuous operation throughout the demolition. A critical aspect of the project was the safety of the public and the environment. Sections of the old bridge were so close to the new bridge they were practically touching. 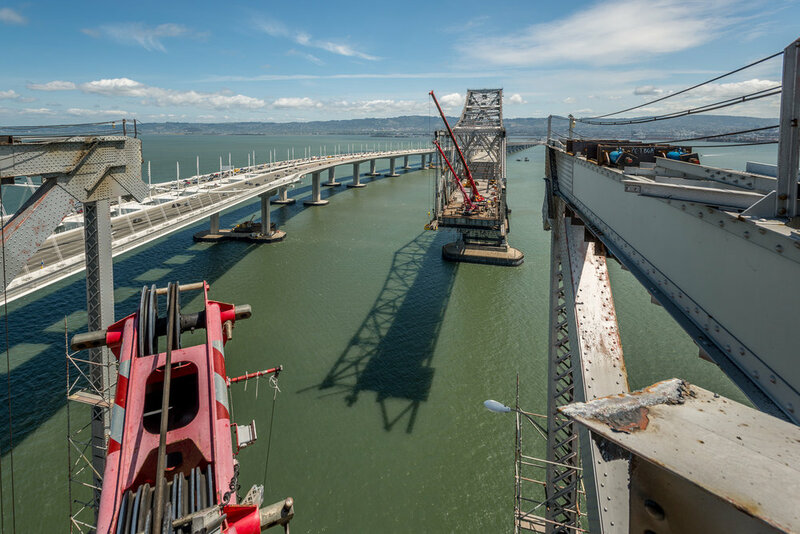 With active live traffic on the new bridge, careful planning and specific safety procedures were incorporated to ensure the safety of not only our workers but the public. Environmentally we worked closely with Caltrans as well as multiple agencies to ensure the protection of birds, marine mammals and fish. The project had two full time biologists on staff to provide expertise, monitor conditions and install mitigation devices. In addition to the complex demolition of the bridge and transition structures the project had considerable new construction elements as well. For the new ramps, bike path extension, roadwork and hillside stability work we assembled top notch subcontractors to build these challenging structures in this confined area on an accelerated project schedule.